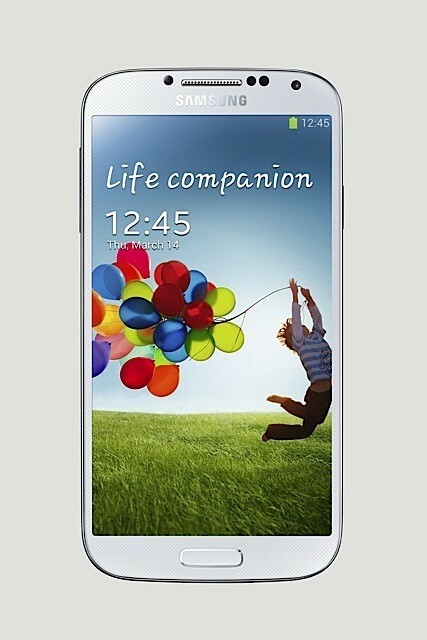 After month of speculation, rumors and supposed leaks, the Samsung Galaxy S4 is now official. The new Samsung flagship will be sporting 1.9GHz Quad-core Qualcomm processor (Snapdragon 600 we presume), 2GB of RAM, a 5 inch Full HD 1080p Super AMOLED display with Gorilla Glass 3 at 441 DPI, 16/32/64GB storage configurations with microSD expansion, 13MP Rear facing camera, 2MP front facing camera, NFC, a 2600mAh battery and LTE connectivity. Beauty Face, HDR (High Dynamic Range), Panorama, Sports. Other features include; Group Play, Story Album, S Translator, Optical Reader, Samsung Smart Scroll, Samsung Smart Pause, Air Gesture, Air View, Samsung Hub, ChatON (Voice/Video Call, Share screen, 3-way calling), Samsung WatchON, S Travel (Trip Advisor), S Voice Drive, S Health, Samsung Adapt Display, Samsung Adapt Sound, Auto adjust touch sensitivity (Glove friendly capabilities), Safety Assistance, Samsung Link, Screen Mirroring and of course Knox as well as a slew of other features. According to information given to us from Samsung, the Galaxy S4 will launch on almost every single carrier in Canada including; Rogers, Bell, TELUS, Wind Mobile, Mobilicity, Videotron, Fido, Virgin Mobile, Koodo, SaskTel and Eastlink. We don't have any official word on release dates or prices, but we expect a Q2 launch not too long after the expected end of April worldwide launch. Check out the official press release and press images after the break. 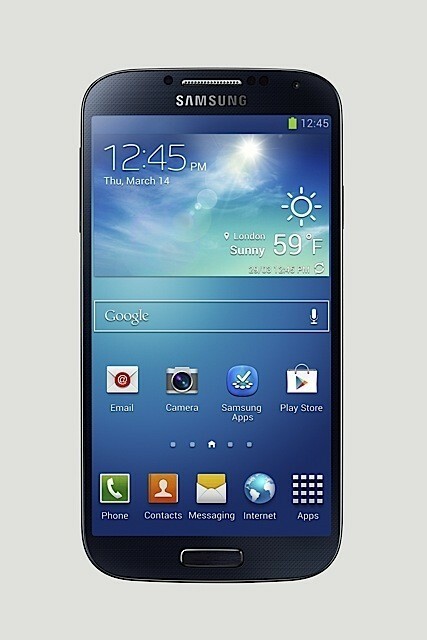 New York, USA, March 14, 2013 — Samsung Electronics announced today the fourth generation GALAXY S, the GALAXY S 4, designed to get you closer to what matters in life and bring your world together. A rich life is one that’s filled with meaningful moments and the GALAXY S 4 captures and shares those special moments. 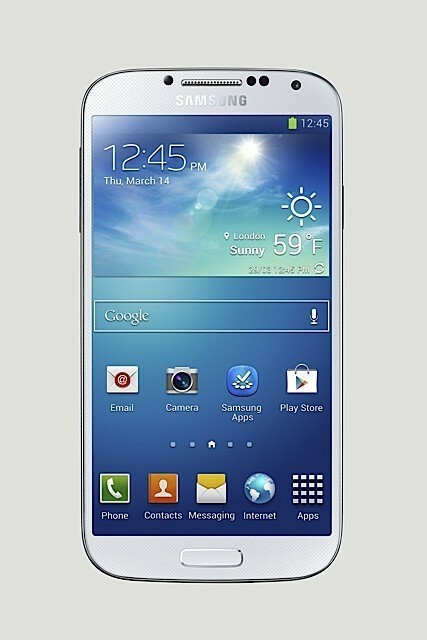 The GALAXY S 4 has the world’s first Full HD Super AMOLED display to showcase images at their very best. Its 5-inch large screen has 441ppi for stunning viewing quality. 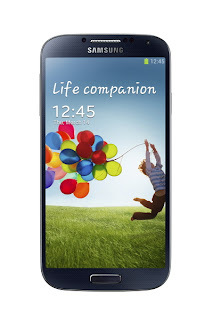 The Samsung GALAXY S 4 also utilizes Corning’s new Gorilla® Glass 3*, making it a durable travel companion for all of life’s adventures. Equipped with a 13 megapixel rear camera, the GALAXY S 4 also boasts a ‘Dual Camera’ function that allows simultaneous use of both front and rear cameras. When capturing moments, users can choose from a variety of frame effects which blend the two pictures naturally and also adjust the size of the small picture inside the big one. Users can select 8 different ways to combine the two photos taken by the front camera and the rear camera. At the same time, the ‘Dual Video Call’ function enables you to make and receive a video call with friends and family while showing what you are looking at during the call. These meaningful moments can also now automatically be stored in a photo album, with the new ‘Story Album’ function. Photos taken by the GALAXY S 4 are automatically gathered and sorted out according to your timeline, geo-tagging information, or a specific event to create a photo album. These unique story albums can be ordered and delivered as an offline photo album through a new partnership with Blurb*, so you can keep those precious moments safe to look at and share time and time again. The GALAXY S 4 supports HSPA+42 Mbps and 4G LTE which means wherever you are in the world, you can rely on perfect connectivity. Especially, the LTE version supports up to 6 different band sets which allows it to function in most LTE coverage areas as well as enabling global LTE roaming. Furthermore, TDD/FDD LTE Dual Mode version will be introduced later this year. With ‘S VoiceTM Drive’ you can activate commands via voice control for optimization when driving. Once connected with a car Bluetooth, the phone automatically turns into driving mode converting text to speech so you can easily and safely check messages with no need to look at the screen.